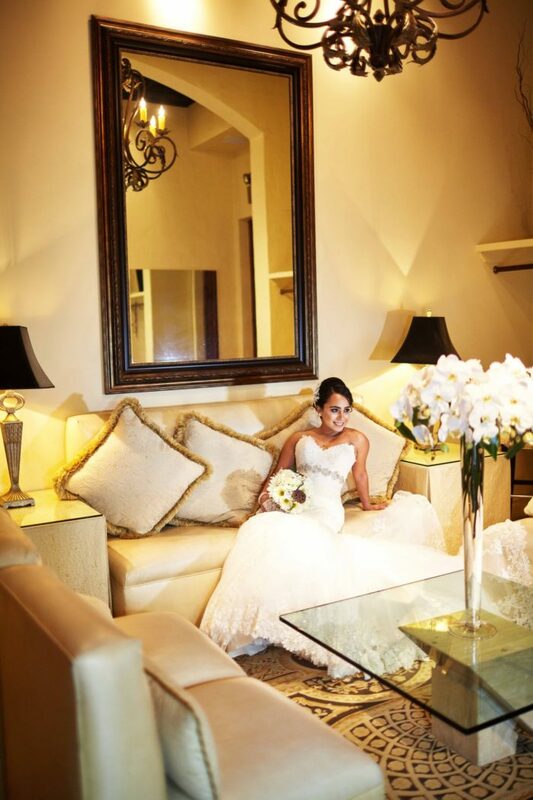 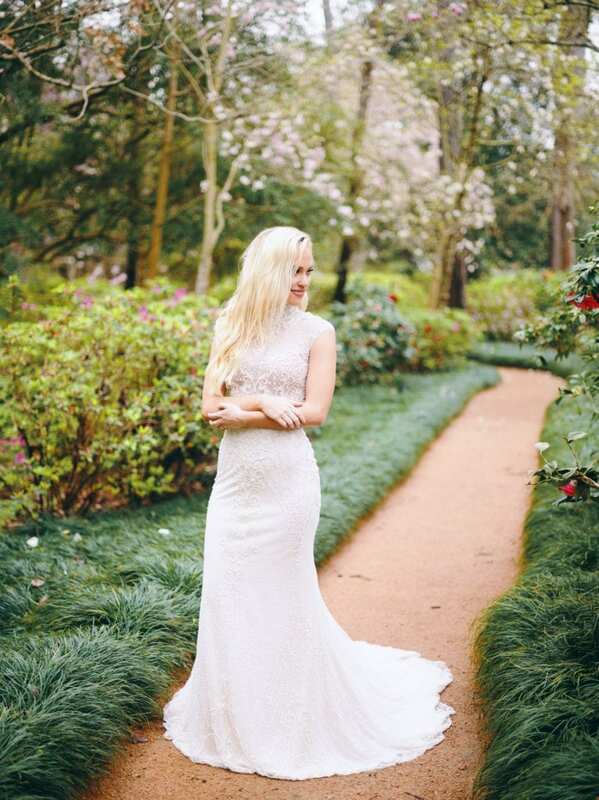 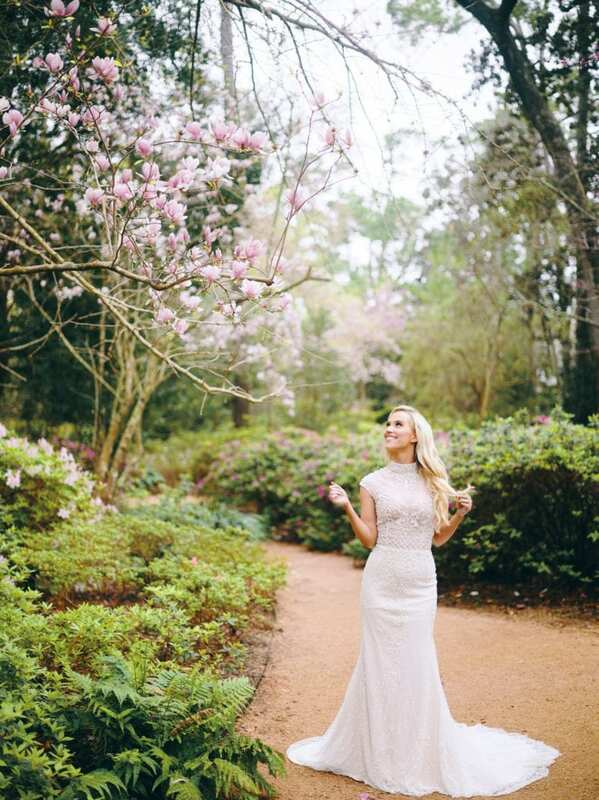 Shooting at the beautiful Bayou Bend Collections & Gardens was quite an experience. 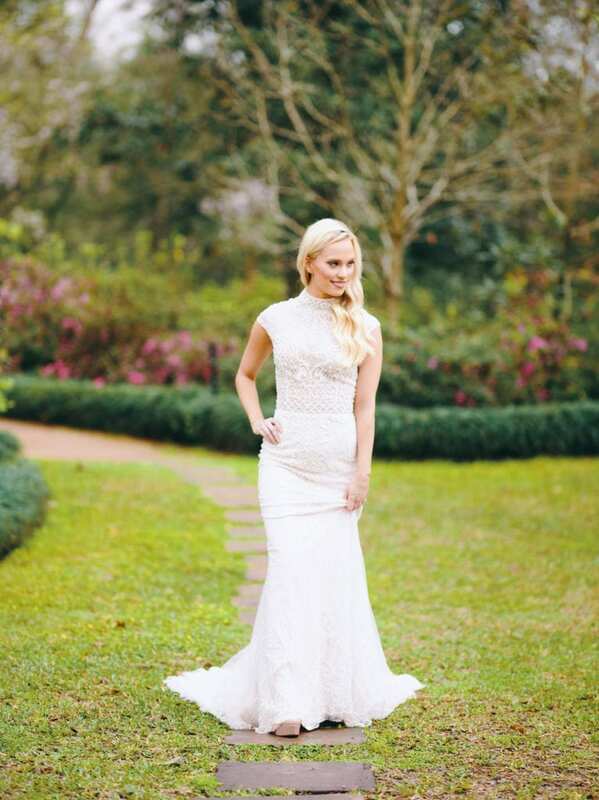 Tiffany styled in the Alessandra Rinaudo Arcadia gown was stunningly classic. 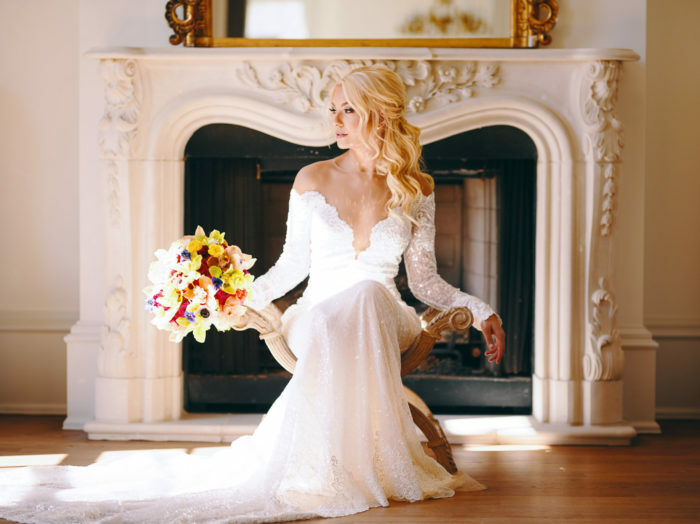 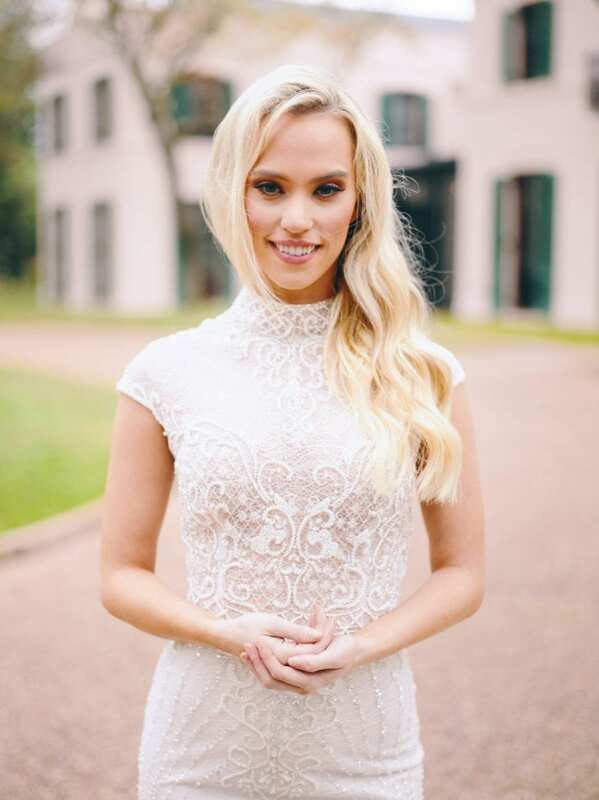 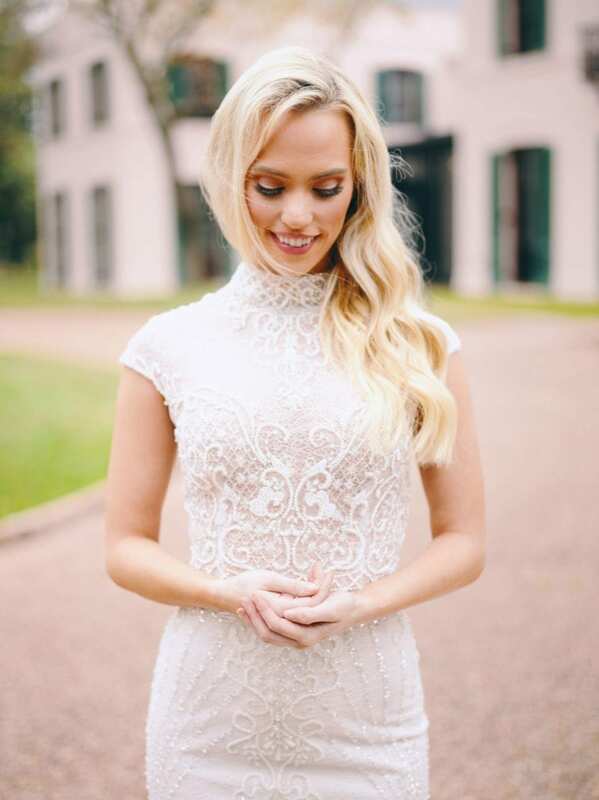 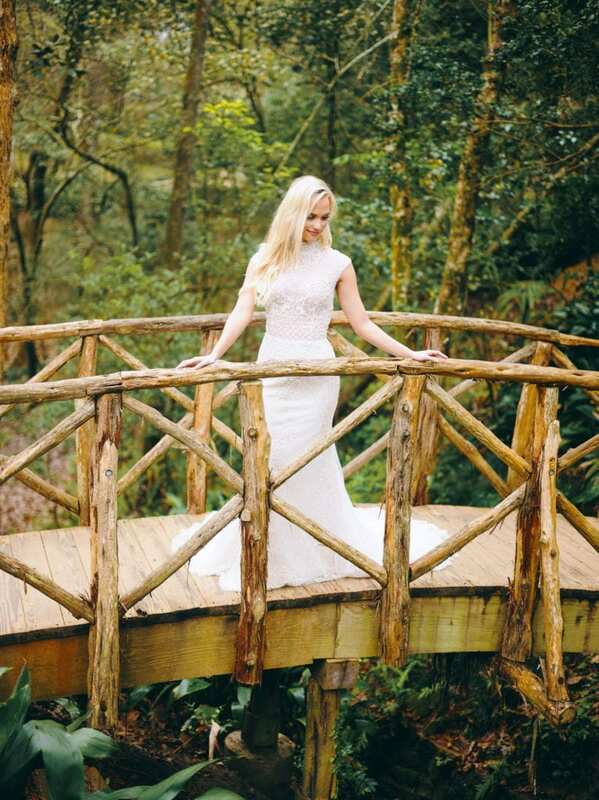 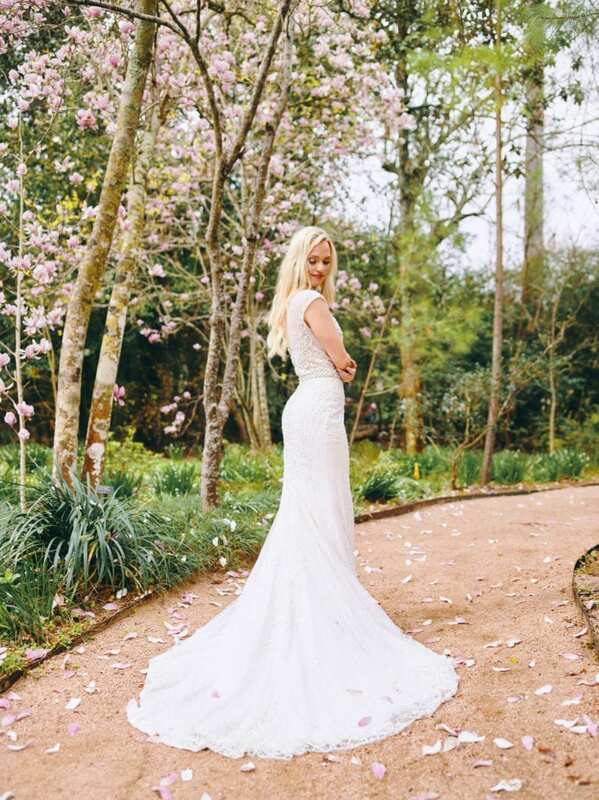 This lush organic garden decorated with fantastic greenery and one of the most beautiful fountains in the Houston area was the fitting location for capturing bridal inspiration. 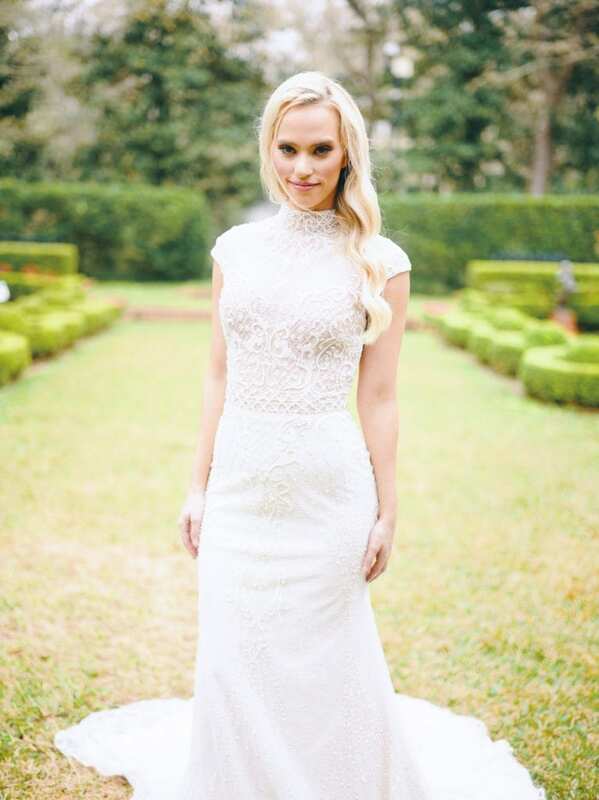 The mansion built during the 1920’s has the plantation vibe with classic columns. 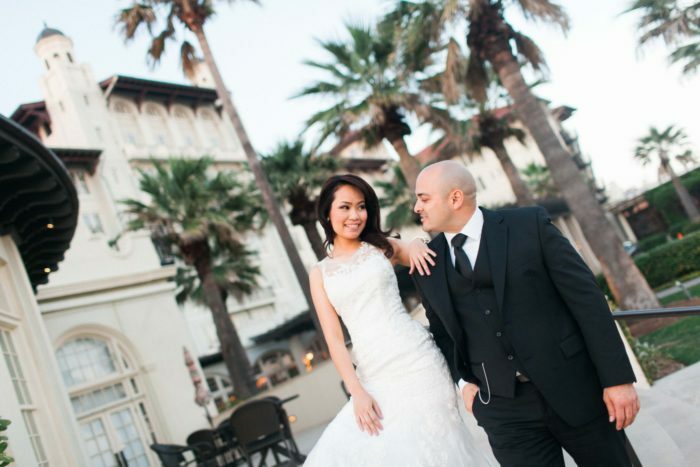 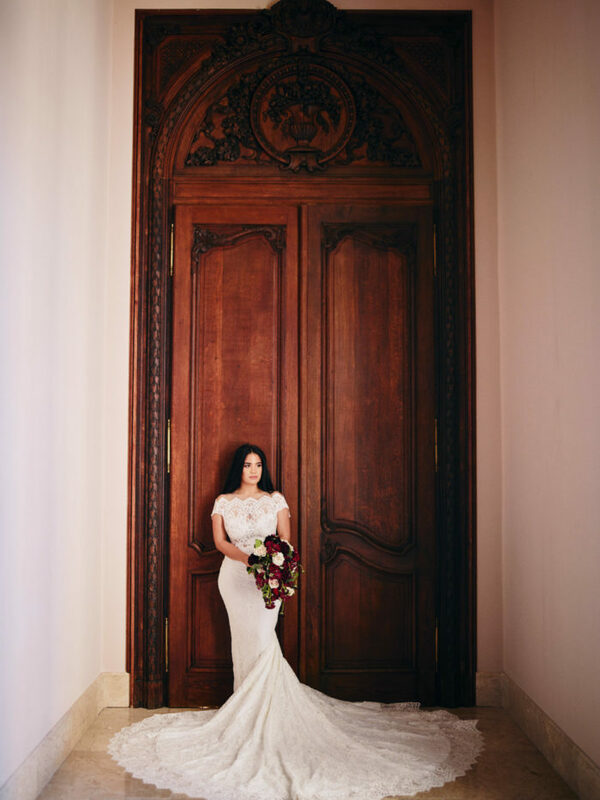 Capturing Tiffany on the stairs leading up to the mansion with the Italian wedding gown train in full display was one of our favorite photographs from this session. 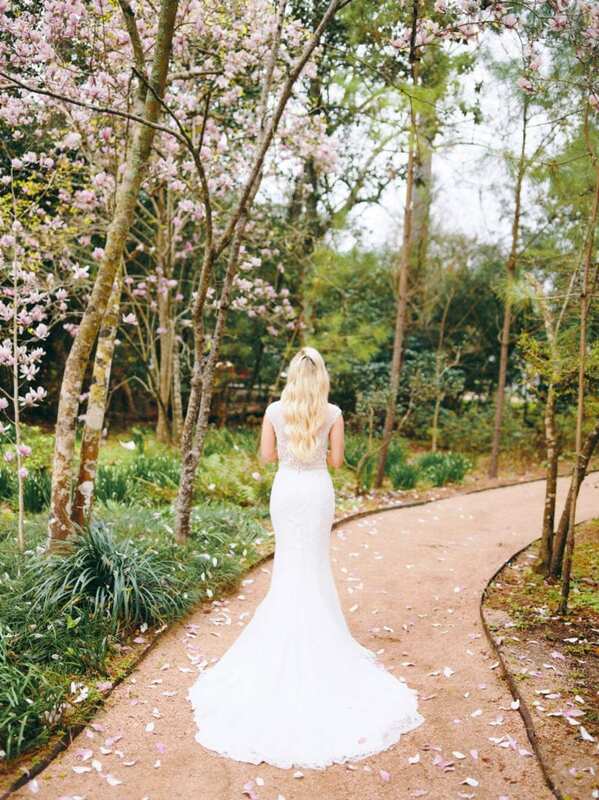 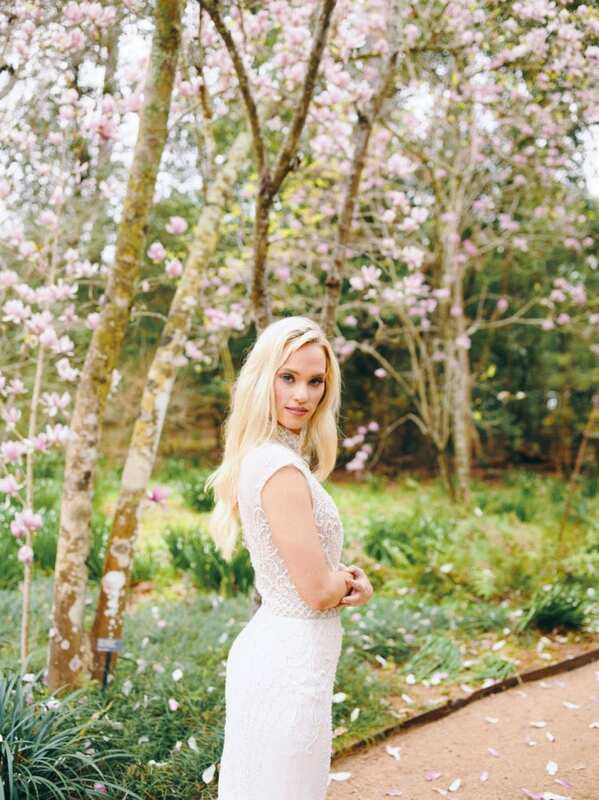 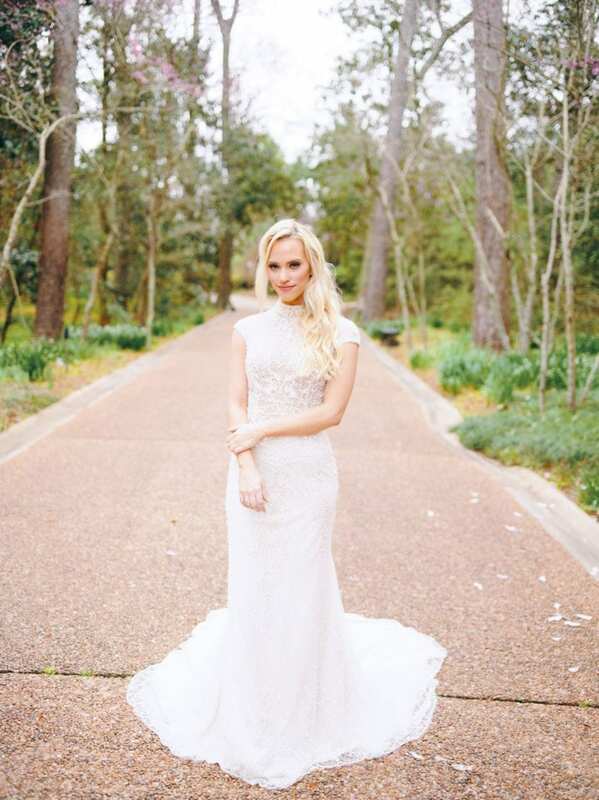 The beautiful pink magnolias and pastel florals along a beautiful garden accented pathway were all surrounding Tiffany as she styled in the Italian Wedding gown from Nicole Spose. 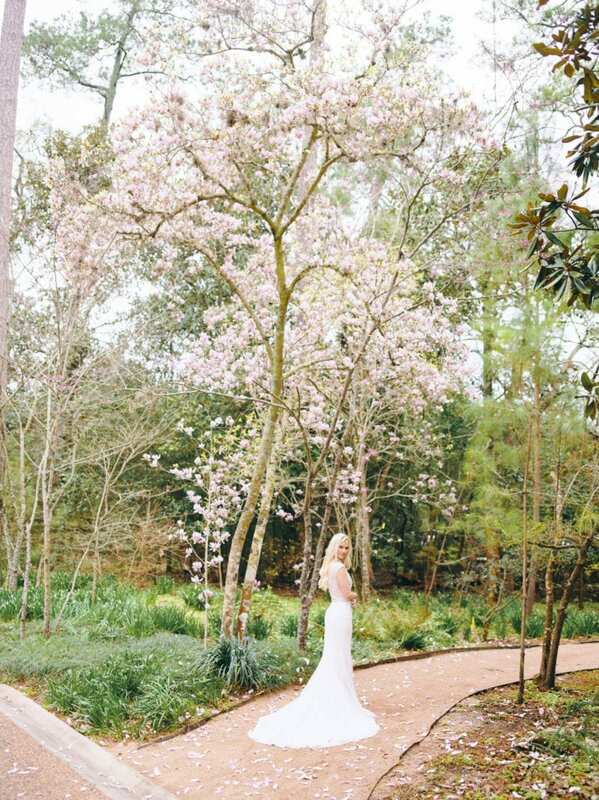 At this area of Bayou Bend Collections and Gardens it was especially decorated with carefully trimmed greenery and an storybook wooden bridge. 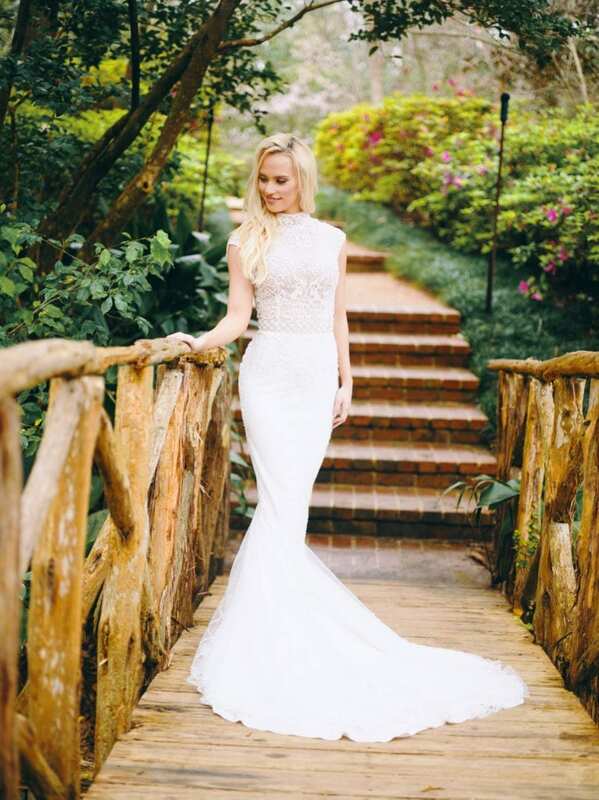 The East and Butterfly Gardens were the scenes which Tiffany styled in the stylish dress they call Erika Jayne at the boutique.